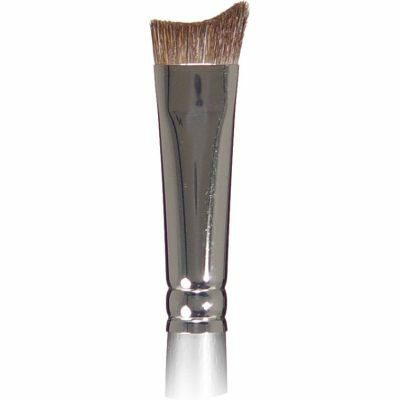 Innovated by Cinema Secrets founder Maurice Stein to promote a standard of sanitation in the makeup industry, our palettes and spatulas are made from the finest German stainless steel and designed specifically for professional use. 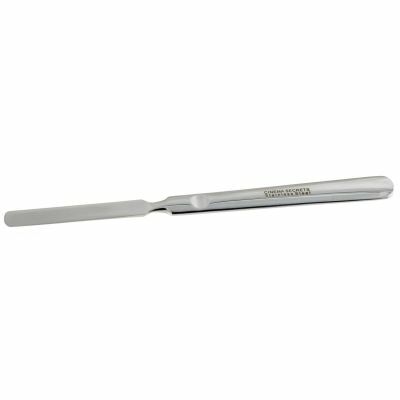 The spatula is used to transfer cosmetics to a palette for mixing, drastically reducing the chance of cross-contamination. Unlike plastic, the stainless steel will not flake over time. 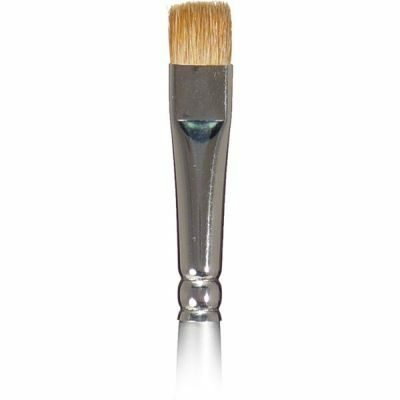 The Standard has a weighty ridged octagonal handle, while the Deluxe spatula has a butter knife-like handle with finger ridges and a more balanced weight. 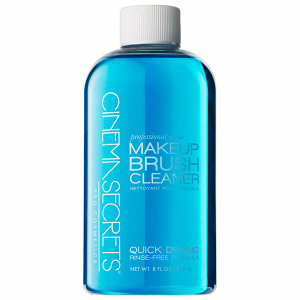 Clean with Cinema Secrets Professional Brush Cleaner.